(Newser) – Congress has found something it can agree on: better protection for Peace Corps volunteers. A bill designed to protect whistleblowers, train volunteers on how to avoid attacks, and improve the treatment of sexual assault victims passed the House by unanimous consent yesterday. The Kate Puzey Volunteer Protection Act of 2011—named after a volunteer who was murdered in Benin in 2009—passed the Senate by unanimous consent in September. 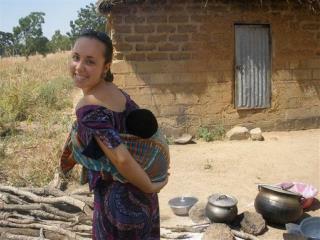 Hopefully this will make the Peace Corps step in sooner when girls on missions report problems. "Peace Corps"? That useless bunch still draining taxpayers' pockets? Shut it down.